Coming in between Jurassic World and Star Wars IX for director Colin Trevorrow, The Book of Henry is a much smaller-scale film. In what sounds like the most cheerful plot ever conceived for a film (spoilers ahead for the rest of this paragraph, but no more than you can read in the plot summary on any website), Henry is an 11-year-old boy who lives with his younger brother, who is bullied at school, and their single mother. His neighbour is subjected to child abuse by her father. Just when he formulates a plan to rescue her from the abuse, he is diagnosed with a brain tumour and dies shortly afterwards. Sounds like great fun for all the family to enjoy, perhaps in a double-feature with Captain Underpants. The film has attracted absolute scathing, terrible reviews (it’s doubtful there will be a worse-reviewed film released this year) and so ends the honeymoon period for golden boy Trevorrow, but I don’t suppose it will hold him back too much given what his next film will be. His last film was of course scored by Michael Giacchino (as most films are at the moment, it would seem) and their collaboration continues here. Needless to say, it is a very different type of music from that heard in the composer’s various mega-budget blockbusters of late – but everyone knows that there’s a huge slate of bad films which have inspired great scores, so there’s plenty of hope left there. That hope seems to be materialising into genuine greatness as the album gets underway with its outstanding “Overture”, a delicate piano theme full of genuine emotional warmth. I suppose it’s superficially a bit like a more tender version of Joy’s theme from Inside Out, with its exuberant childlike wonder – it’s a real treat and will go straight onto everyone’s Giacchino playlists. Then comes the delightful “Treehouse Inventions”, a softer relative of the previous theme positively seeping with magic and wonder. After this, the upbeat pop instrumental “Cheering Up the Mountain”. The Book of Henry appears set to be one hell of a ride. Sadly it isn’t, not really. While the remaining 40 minutes of score on the album does return to that sort of territory occasionally, almost inevitably it spends most of its time in far more maudlin territory, starting in “Predator in Their Midst”, with the sound becoming incredibly downbeat, Giacchino dealing mostly in subtle dark atmosphere. The highlights come when there is a driving melodic force. The composer comes as close to his Lost sound as he has in a long time – “Henry’s Final Wish” could come straight from the series’ more emotional, piano-based music and “The Parable of the Talents” could have underscored the polar bear on the beach or something. A lot of the music is couched in such incredible sadness, listening for pleasure isn’t really on the table. While this may be completely appropriate for the film, the album does of course suffer as a result. 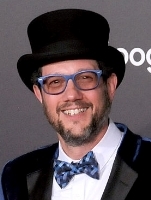 The slow, slow strings, tentative low piano chords, sometimes synth textures (“Peter’s Lament” the best example of the latter) – Giacchino’s a composer capable of bringing a smile to anyone’s face (as he does in the early tracks on this album) but in this circumstance he had to go down the other route and for all its obvious quality as a film score, that means this is an album unlikely to be played very often even by his biggest fans. At its very best, there is just a hint of Georges Delerue (the one film composer more than any other who was able to write in this style and make it entirely captivating on an album) – I’m thinking particularly of the gut-wrenching take on the main theme in “Target Practice”. I’m sure a lot of people will admire the music and it is very nice to hear something a bit more intimate from the composer; I’m just not sure all that many will actually enjoy listening to that much of it.